The post Win a Trip to the Premiere of Star Wars: The Force Awakens and Support the New Omaze Campaign appeared first on Star Wars News Net. Omaze: Meet the Cast at the Premiere of Star Wars: The Force Awakens! Star Wars: The Force Awakens European Press Conference! 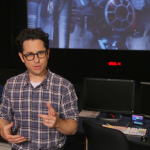 JJ Abrams on the Production and Secrecy of Star Wars: The Force Awakens. Disney Infinity 3.0: New Trailer, Boba Fett Figurine Confirmed, Star Wars Saga Pack for Playstation 3 & 4 Consoles.